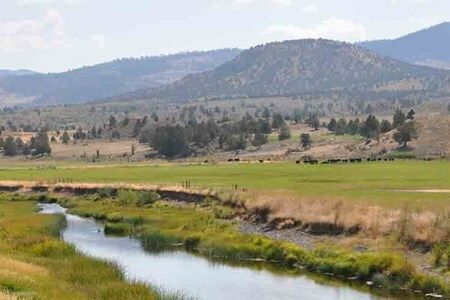 The Crooked River, just east of Bend in Central Oregon is one of the finest tail-water fisheries you’ll ever visit. 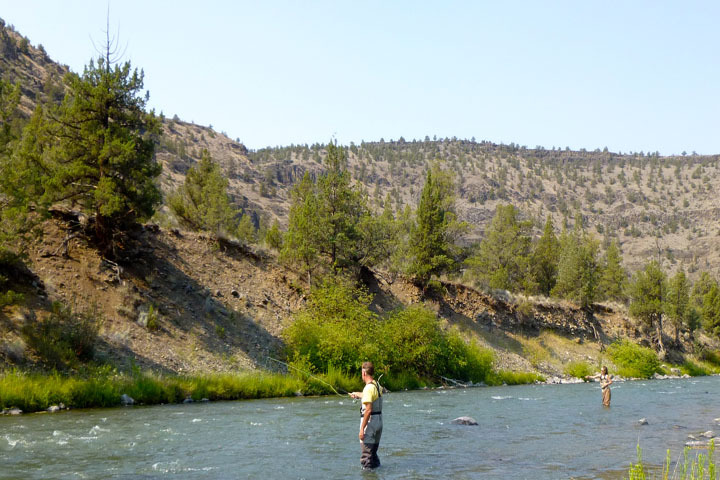 It is a river all us Bend Trout Bums appreciate for its year-‘round fishing opportunities, prolific insect hatches and native Redband rainbow trout. 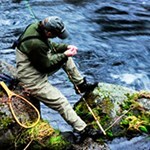 Click Crooked River Fly Fishing to read more about the fishery itself. 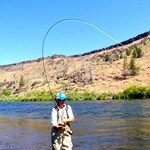 For more information about guided fly-fishing trips to the Crooked River, read on. 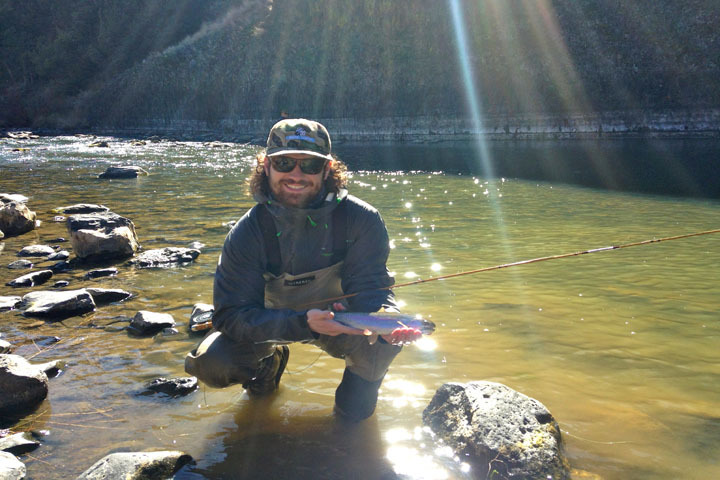 Check latest Crooked River Fly-Fishing Report. 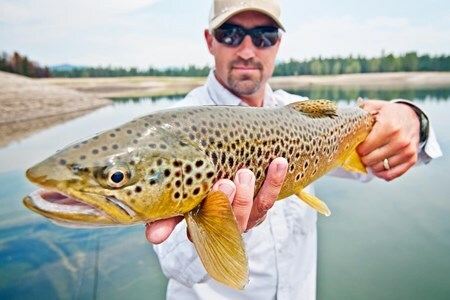 Opening a fly-fishing shop in Bend, Oregon is the culmination of a dream that took shape decades ago as the Cook family traversed the Western United States on family fishing and camping ... moretrips. 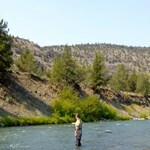 Papa Glen and son Scott spent every spare minute plying rivers throughout the Sierra Nevada and Rocky Mountain ranges. And in each town they would visit the local fly shop. They took copious notes; slowly shaping their vision of what the ultimate fly shop would look and feel like. And thus, Fly and Field Outfitters came to fruition. 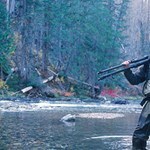 Our outfitting operation is second to none. This is a business founded after decades of research. 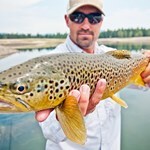 Every person working on our staff has hired guides and outfitters in the past and we all appreciate what makes for a special day on the water with a professional guide. This is not something we take for granted. 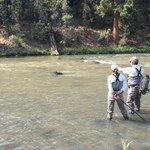 We fully understand and appreciate what a day with a professional guide means to our clients. Our goal is to create an experience you’ll never forget and want to re-live over and over. 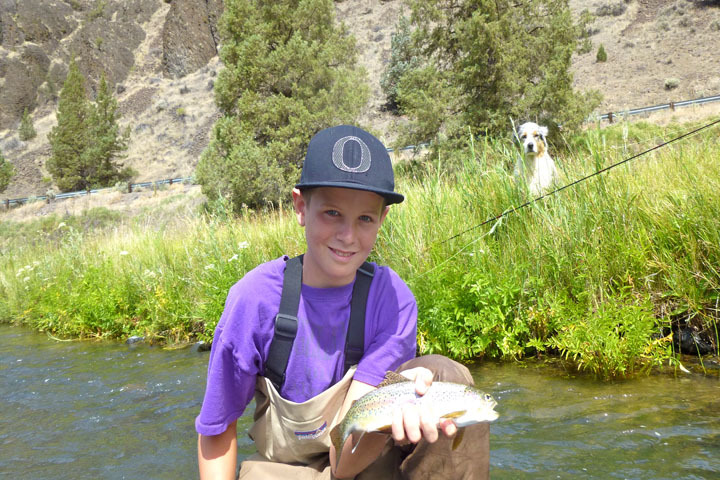 So if you’ve always wanted to spend a day fly fishing the Deschutes River, learn Spring Creek Tactics from a pro, catch a giant trout on a beautiful lake, or just take your kid out and catch your first fish on a fly rod, we have guided fishing trips to fulfill any aspiration. 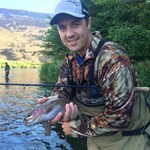 Our goal here at Fly and Field is to create a lasting experience that leaves every client with the feeling that they are a part of our family, whether in the shop or on the water. With years in the making, we at Fly and Field know to surround ourselves with passionate, experienced, and above all, honest folks that truly love what they do. This “family” attitude is entrenched in every aspect of the business. You will hear it in the enthusiasm of the conversations and feel it the moment you walk through the door. 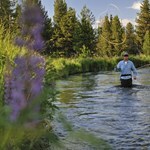 So, whether you are a beginning fly fisher, or a veteran angler, you will be made to feel right at home here. We look forward to seeing you at the shop and on the water! 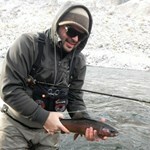 Payment directly with Crooked River Wade Trip with Fly & Field Outfitters.